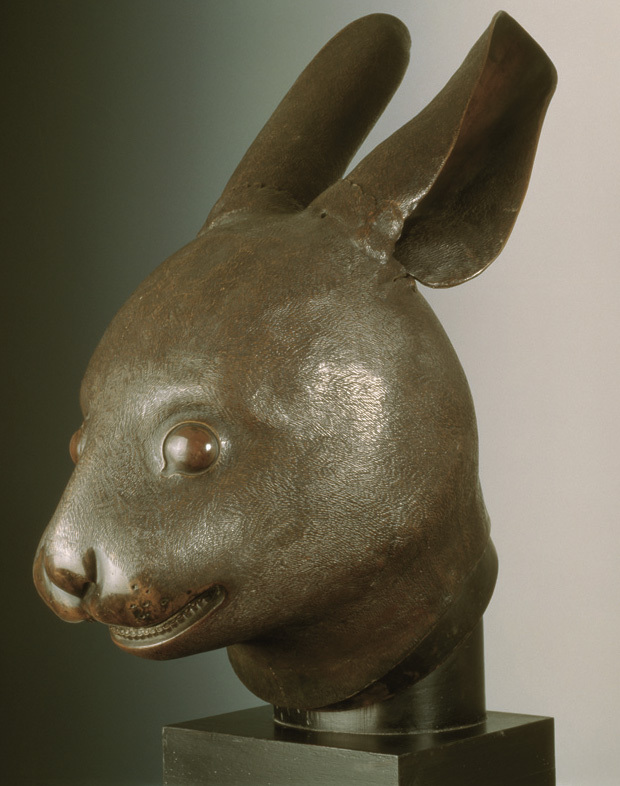 Among the notable objects at the Yves Saint Laurent and Pierre Bergé sale were a pair of bronze heads, a rabbit and a rat, that were two of twelve zodiacal forms that originally decorated an elaborate clepsydra, or water clock, in the Yuanming Yuan garden of the Old Summer Palace under Emperor Qianlong (1736-1795). In 1860, during the Second Opium War, the Old Summer Palace was severely damaged and then burnt by French and English troops. Many decorative works including the heads from this famous fountain were looted by soldiers. Later, they turned up in markets in Europe and elsewhere. The Chinese government and many Chinese citizens were outraged at Christie’s sale of the two heads and demanded their return to China. The legal ownership of the items is not in question as they have circulated freely in the market for 150 years, but the Chinese have claimed moral rights to the bronzes. Can you explain the level of outrage over the sale of the two bronze animal heads? The sale of the heads is a very emotional matter for many Chinese people and a sore point for the Chinese government; it has brought up memories of painful humiliation at the hands of foreigners. The heads were originally looted during the destruction of the Old Summer Palace in October of 1860. The palace and gardens were burned on the order of British High Commissioner Lord Elgin in retaliation for the torture and execution of a number of European and Indian prisoners by the Chinese – including two official envoys and a journalist from the Times of London. The gardens were famously beautiful and what the English and French saw as retribution the Chinese considered a flagrant abuse of foreign power. With China’s emergence as a world economic power, both the Chinese government and wealthy Chinese entrepreneurs have become major buyers of Chinese art. A lot of their buying centers on returning to China objects that have political symbolism as well as artistic significance. The two heads were bid up to a value of about 20 million dollars each. That’s a lot of money for a few pounds of bronze, but not for what it represents. There has always been speculation that the eventual buyers would be Chinese and that the bronzes would be presented to a Chinese museum, but the latest news that the buyer, Cai Mingchao, a Chinese collector and auctioneer, refuses to pay as a protest throws everything into confusion. One has to wonder who the other telephone bidder was – another shill buyer or a legitimate purchaser? While this has been a fascinating, roller-coaster ride and it is easy to get caught up in the fantastic sums and the whole notion of treasure, it is important to recall that the idea that you can correct history or settle a score by returning art may be emotionally appealing, but it can’t change the past. What did the Chinese government do when the bronzes came up for sale? How does Tibet figure into the dispute? Yves Saint Laurent and Pierre Bergé were deeply concerned about human rights issues. The Chinese government has destroyed hundreds of Tibetan sites and monasteries in an effort to eradicate Tibetan culture. Bergé sees the European looting of 1860 and the Chinese destruction of Tibetan culture as parallel events. Is there a difference between the sale of looted items from a private collection and from a public collection? The main difference is that public collections rarely enter the market. There would not be a substantial legal difference between a demand for repatriation from a private owner or a public collection. The United States is unique, because of its strong tradition of endowing public museums with gifts from private collections. A high percentage of private collections of antiquities are donated to museums and become public within ten or twenty years of the collection being amassed. In contrast, most museums outside of the U.S. are supported and run by governments, not by individual trustees as charitable institutions. If foreign museum’s actions are questioned, they can often hide behind the shields of government authority and immunity. That’s not the case in the U.S., and in my experience, American museums are quite concerned about transparency and following the letter of the law. They have to be. U.S. museums are more vulnerable to claims that they have acted wrongfully precisely because they are supported by individuals and corporations, not by the government, and they are accountable to their donors and to the public. Regardless of whether art objects are now in public or private collections, if you go back far enough, most antiquities that have traveled from one place to another were removed in circumstances that we would probably call “looting” today. Many of the great public collections of art in Europe are based on royal collections gathered in war; Napoleon sent his generals out with a literal shopping list of pieces he wanted for French collections. The idea that it was wrong to inflict the maximum punishment on an enemy in war by taking home all the available wealth was a relatively new idea in the 1860s when the bronzes were taken. One of the first times this idea of protecting art and monuments was codified into the rules of war was when Abraham Lincoln addressed the issue during the Civil War. Lincoln understood that there would be a better chance of reconciliation between North and South if cultural institutions were not completely devastated by the war. The catalogue note for these objects explains that they were designed by the Milanese Jesuit, Brother Giuseppe Castiglione. This is a fascinating aspect of this controversy because the idea that art is somehow exclusively national in character is one that governments have striven for and artists have resisted for centuries. Here, a young painter, trained in the Milanese style, becomes a Jesuit missionary and travels from Italy to China, where he becomes enamored of Chinese painting. He is supported and encouraged by the Emperor Quianlong, and he develops a syncretic, blended style and works under the Chinese name Lang Shih-ning. Is a work any more or any less the cultural heritage of a country if a foreigner made it? The distinguished Chinese-born American architect I. M. Pei just designed a museum of Islamic art for Doha, Qatar. It is not an Islamic building, or Chinese, or American. It is all of these things and more. It draws on the whole history of art and architecture. The character of the artist-designer is important in the current controversy in another way. The sacking of the Summer Palace took place at a time that remains wrenchingly painful for many Chinese. The episode has been memorialized in several popular Chinese movies. As a subject for a movie it is terrific: drama, violence, extraordinary luxury with a hint of degeneracy, great costumes, villains-a nice respite for moviegoers tired of happy farmers praising Mao. Then, in 2005, there was a Chinese television series called Palace Artist about Giuseppe Castiglione, who went to China as a missionary in 1715 and created a style that blended European and traditional Chinese art. A popular actor, Mark Roswell, who is known as Dashan in China, played Castiglione in the series. So to some degree, what makes these bronze objects important cultural property arises from popular culture. Jackie Chan, for instance, has expressed anger over the sale of the bronzes and says that he is going to make a movie about art thieves. I like Jackie Chan but I don’t expect a nuanced discussion of international cultural property issues from a martial arts movie. Christie’s reports that the fountain was actually dismantled after a governmental order in 1795, predating the looting of French and British troops in 1860. Does that fact have an impact on cultural property claims? No. Legal claims for cultural property don’t rest on how the objects are treated by the source country even today. The key legal issue in the U.S. for cultural property claims over recently discovered found-in-the-ground or abandoned objects is whether the country has made a blanket declaration of national ownership and claimed actual legal title in the objects, whether the government knows of their existence or not. That claim of title makes such objects ‘stolen’ even if they are purchased from private owners in the source country. Of course, both in the U.S. and internationally, if an object is stolen from the inventory of a museum or a private collection, legal title will not pass, even to an innocent purchaser. These bronzes left China too long ago to fall into this sort of claim of title. In recent years, five other heads have been sold at auction or purchased privately-the head of the ox (Christie’s 2000), the head of the monkey (Christie’s 2000), the head of the boar (Sotheby’s 1987), the head of the tiger (Sotheby’s 2000), and the head of the horse (purchased by Stanley Ho, 2007)—how does this affect the Chinese government’s claims for repatriation? Three of the bronze heads previously sold were purchased by the Poly Group, a military and technologies company and the commercial arm of the People’s Liberation Army. The Poly Group is also involved in China’s domestic antiques trade. There was no legally sustainable claim for repatriation in the earlier sales either; the objections raised were also on moral and ethical grounds. They were based either on the notion that cultural property belongs in its country of origin or on the wrongful manner in which these particular bronzes were taken from China. In the end, these pieces were brought back to China, but by the channel of the market, not through a political or legal demand. What was the response from the Chinese government after the sale? Christie’s was sanctioned by the Chinese government within hours of the sale. For now they are being punished with paperwork. According to the State Administration of Cultural Heritage, Christie’s will have to provide details of ownership and provenance of any artifacts it wants to bring in or out of China. This is not just a slap on the wrist; mainland Chinese and other buyers will hesitate to buy from Christie’s if the auction house is in serious disfavor with the Chinese government. Oddly, the overall effect of the sanctions will probably be to strengthen the internal Chinese market in antiques. The domestic auction system has grown incredibly rapidly in China, and with the support of the Chinese government, has expanded its sales to well over six-hundred million dollars a year. Buyers who are wary of making purchases with Christie’s, fearing subsequent harassment, may turn instead to China’s own art auction system. What recent legislation has been passed in the United States regarding the importation or sale of Chinese antiquities? What challenges will that present to collections of Chinese art? There have been very important changes just this year that will affect anyone who collects early Chinese art. A bilateral agreement between the U.S. and China under the Convention on Cultural Property Implementation Act went into force on January 14, 2009. The agreement restricts importation of archaeological materials from the Paleolithic Period through the end of the Tang Period and irreplaceable monumental sculpture and wall art at least 250 years old. The import restrictions will be enforced by U.S. Customs. The law requires that materials described in the agreement be certified by China that they were lawfully exported. Alternately, importation will be allowed if the importer can show satisfactory evidence that the material was exported from China ten or more years before the date of entry into the U.S. and that the person on whose account the objects are imported has had no interest in the objects dating to more than a year before the date of entry. U.S. Customs is authorized to seize objects that don’t have the required documentation, and the objects may be forfeited. People bringing in Chinese art legally exported from other countries, including Taiwan, will need to show the same satisfactory evidence. The only good news for collectors of more recent materials such as porcelains is that the original request sought import restrictions on virtually all Chinese art up to 1911, so the current agreement is less all-encompassing than it might have been. Anyone planning to purchase Chinese works overseas should read the agreement carefully to be sure that their purchases are in compliance with these restrictions. Obviously, the import restrictions will lessen the number and type of Chinese antiquities brought into the U.S. During the Cold War, even tougher restrictions left the U.S. far behind Europe in terms of collections and scholarship. The current restrictions are not so sweeping and scholarly communication is much easier and more rapid in the digital age. The greatest concern is that by making the U.S. act as policemen for a trade that is often tolerated in China itself, China will merely push the problem elsewhere rather than implementing the domestic policies necessary to halt the destruction of archaeological sites. Beyond that, I can only agree wholeheartedly with Pierre Bergé that China’s intolerance for domestic dissent and its repression of minorities is far more dangerous to its cultural life that the temporary displacement of a few pieces of bronze statuary from a mechanical fountain, however charming and wonderful they are.